There is nobody who is better equipped to explain trampoline safety than our very own Vuly Hero and Olympic Trampolinist Blake Gaudry, who recently joined forces with Kidsafe Australia to ensure safe jumping for kids. 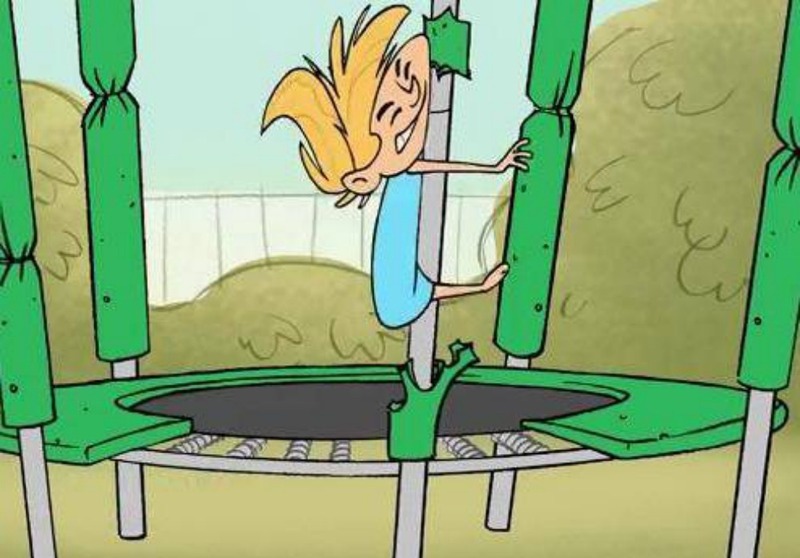 Their national trampoline campaign, It's Flippin' Important, encourages parents and users to be vigilant and cautious when using backyard trampolines, as even the best safety equipment is not a cure all for trampoline injuries. According to the Australian Competition and Consumer Commission (ACCC), too many kids are injured by trampolines in Australia each day, and hundreds of Australian children are taken to hospital every year for trampoline-related injuries. “With at least eight children per day being injured on trampolines in Australia, we are urging parents and carers to follow our safety checklist so this activity can be enjoyed injury-free,” ACCC Commissioner Sarah Court says. While these seem like daunting statistics, a study of Trampoline Safety by Kidsafe Western Australia shows that parents, carers and children all need to be educated on the rules and guidelines for safe trampoline use, which is why Kidsafe have developed this campaign. The study shows a large discrepancy between the safety guidelines and the actual usage of trampolines, which means that trampolines aren't necessarily unsafe – especially with the advanced safety considerations of modern trampolines – but users should be aware of the risks involved when trampolining. A survey conducted in March by Kidsafe Western Australia on behalf of the ACCC identified a range of unsafe practices that could be putting children at risk, including reports of up to five or more children being on a trampoline at once. Also of concern was that less than a quarter of parents and carers said they always supervise their children on trampolines. "Trampolines can put children at risk of serious injury, particularly when used inappropriately," Sarah says. "Children aged five to nine are at greatest risk of being hurt and injuries include fractures, open wounds, dislocations and head injuries." Very aware of the risks associated with big tricks and daring flips on the trampoline, Blake says he's had a lot of fun in his chosen career by always playing safe. "When I'm in the air I need to have complete confidence that my surroundings are safe when I land, “Blake says. “Parents need to have that same level of confidence when their children are bouncing on trampolines in the backyard." The results of Kidsafe's study demonstrate that trampoline users do not appear to be following the safety guidelines for trampolining. They have put together the following list, which Blake says has kept him safe on the trampoline for all these years! One at a time: Ensure only one child at a time uses the trampoline. Supervise: Supervise children at all times, regardless of age. It is recommended that children under six should not use trampolines but if they do, take extra care with younger children as they are more prone to serious injury on trampolines. Safety padding: Use safety padding on the frame to avoid injuries if a child accidentally hits the frame. Check condition of mats and net: Regularly check that the trampoline is in good condition and ensure that the mat and net don't have holes, springs are intact and securely attached at both ends, frame is not bent and leg braces are securely locked. Hazard free surrounds: Ensure that the area around the trampoline is free from hazards like walls, fences, play equipment or garden furniture. Also make sure there is an overhead clearance to avoid objects like clothes lines, trees and wires. For further information, visit the trampoline safety page on the Product Safety Australia website. More information about our own safety features can be found on the Vuly website.